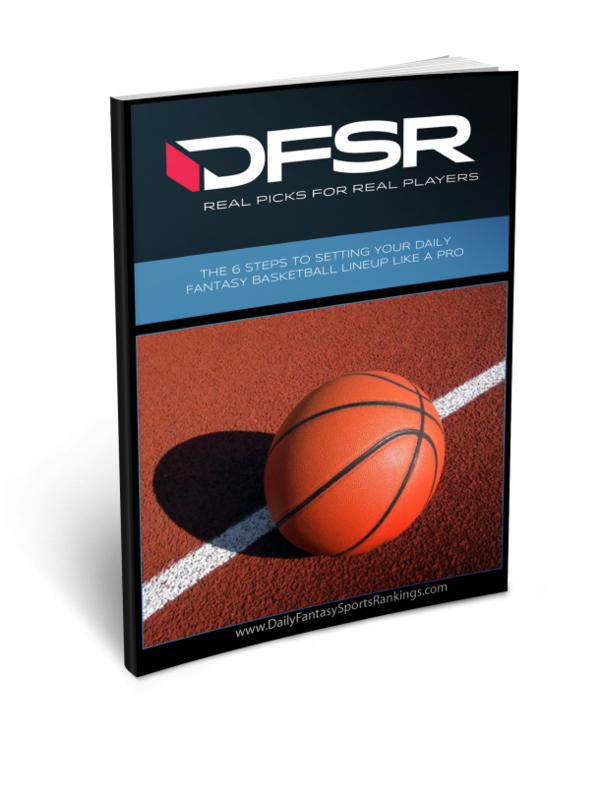 Now’s your chance to get DFSR PRO, which will give you access to our NBA optimizer, our NFL Optimizer, and our new player lab! Get started for free by clicking the button below. We've been knocking the NBA for short slates all-year long, but it's always been this way on Thursday. We actually see 2 or 3 games on most Thursdays, so 5 games is awesome. Especially these interesting 5 games. We'll start it off with the nightcap between the Thunder and Nuggets. Vegas has this game slated at a 214 over/under with an even spread. Westbrook hasn't been the same fantasy asset he was last year, but his price is reflecting that at under $10.5k on both sites, needing you 50-60 in cash games. Jamal Murray is a pitiful defender and the Nuggets have given up the 5th most FPPG (47.8) to opposing point guards. A lot of these Thunder guys are in play in a pace-up contest against a Nuggets squad that doesn't play much defense. Westbrook will have his way in this match-up and given the price drop, makes for a solid cash game and tournament play. I think he returns to his dominance tonight. I know you probably can't fit both of these guys, but you'll likely need at least 1. Wall, who's just a little cheaper than Russ, is in a phenomenal spot. He returned from injury last game and went right back to the Wall we know and love, putting up 50 fantasy points in 37 minutes. He's one of the more consistent NBA players of the last 5 or 6 years and it follows suit in DFS. In cash games, you'll rarely get disappointed. In tournaments, you'll rarely get 8 or 9x. While Wall has hit 70 fantasy points plenty of time, I'd rather pay for Westbrook if that's what I'm looking for. If I need a little bit of saving and am cool with a 50 spot, count me in for Wall. This match-up against the Lakers is a great one, especially with them coming off of a B2B. He didn't excel against them earlier in the year, but I promise you he won't shoot 7-22 again. Probably for the rest of the season. Wall is right up there with Westbrook at PG and I'm fine with either. Westbrook has a slight edge in my book, but it's nominal. It looks like Jerryd Bayless is out indefinitely, so he'll join Markelle Fultz on the shelf. We were in a similar situation last game, but it was against the Jazz. McConnell still figured out a way to put up 20 fantasy points, which is a good sign. He should get more minutes tonight in a friendlier match-up with the Kings. They do play kind of slow, but they've still allowed the 10th most FP to guards. We had McConnell in a similar situation last year and he ended up in the mid $6k's. I'm not sure he gets there with Ben Simmons involved, but he is definitely underpriced at this point with the assumption that he'll see 32+ minutes. Don't use the 1 game sample size against the Jazz to make determinations here. They play crazy defense and you never know what trickle down effect a guy like Gobert has. Especially with Embiid out. People will see the 29 minutes he got last game and ignore him here. I don't think that's the way to go. The 76'ers are favored by 7 with a 206 over/under against the Kings, keeping it close at an average pace. McConnell is a safe cash game play with some tournament upside. We looked at John Wall at PG and on most slates, you probably don't want both, outside of extreme circumstance. A 5-game slate with no depth at SG would qualify as extreme. While Wall and Beal do naturally eat into each other's numbers to a degree, they have both been over 40 fantasy points in 5 games so far. I think it gets to 6 here with no problem as we know the Lakers have 1 good perimeter defender (Kentavious Caldwell-Pope) and a whole bunch of guys who barely know what defense is. KCP will spend time on both Wall and Beal, and be pretty worn out after manning Kyrie up for 35 minutes just last night. Beal is fairly priced on both sites as a guy with a 35 point floor and a 50 point ceiling that will get hit rather often. While some will pay up for Harden and the upside is definitely there, I'd rather pay up elsewhere. Beal gives you solid upside in a fantastic match-up at a manageable price. For example, if you pair Beal with one of these next guys, they're only $1k more combined than Harden. There's a pretty quick drop at SG from the stars to value, but we have a couple guys to consider. The first is J.J. Redick, who returned from injury 3 games ago. Since, he's put up FP totals of 13, 45, and 23. He's been a huge part of the Sixers offense in 2017 and has been given the freedom to shoot as much as he wants. He has a higher usage rate than Covington and Saric as of now. He'll face off with Buddy Hield and Bogdan Bogdanovich, who are below average defenders in every way possible. The Kings also allowed the 2nd highest 3-pt efficiency in 2016. Redick is seeing an increased role from past years, but his price is going nowhere. Keep playing him in these match-ups until his price matches production. He's a safe cash game play with some upside, but I do prefer the next guy in tourneys. We'll stay in the same game and look at the guy who should match-up with Redick for most of the game. Hield is a guy I play way too much. He shoots as much as he possibly can and rightfully so. He's in arguably the worst possible franchise in basketball and they won't give him consistent minutes. If he ever does see 30+ minutes, it will be in this match-up with the fast-paced 76'ers. This match-up is perfect for Hield and we know his upside is 40+ when given the opportunity. He'll be covered by J.J. Redick and TLC, who are both average defenders on the perimeter. Hield has also been a great rebounder this season, which is something that was supposed to eventually transfer from college. He is a promising youngster that could be something special, as long as the Kings don't screw it up too bad. As for tonight, he's an interesting tournament play as a pivot to where most people will be with Redick. Stay away in cash games. We skipped over a superstar at SG and get right back to one here with LeBron. Despite the Cavs somewhat struggling as a team, LeBron has been as good this year as ever. And I actually mean ever. He's been over 60 fantasy points in 5 games so far and has shown a 92 point ceiling. It seems like they've been playing a lot of big games early in the season, but here's another one. The Rockets are are a Western Conference elite that LeBron will step up for. He'll play another 35+ minutes and comes in with a floor of 50 fantasy points. He'll see Trevor Ariza on defense, who LeBron has demolished plenty of times. His price has risen over the last weeks, but it's still below AD at $12k. Nobody at $11.5k is ever a must with so many options on the slate, but this is a top 10 match-up for LeBron. There are other options at SF, but LeBron is a guy I'll personally have a ton of exposure to. This one doesn't need much of an explanation. If you've been playing DFS NBA so far, Ingram has to be a guy that has stood out. He basically has a Harrison Barnes game log, after a year of pure inconsistency. He's putting up 25 fantasy points in every single game as a minimum and getting to 35 in most. He gets a match-up against a Wizards squad he put up 38 against 2 weeks ago. They love to run and we know Ingram excels in the open court. He's also been a focal point of the offense. You may think of him as a guy who sits in the corner and relies on peripherals, but he's been getting his number called in the halfcourt as well, which was very rare in 2016. He has the 2nd highest usage rate on the offense (21%), below just Brook Lopez (27%). Kuzma and Lonzo come next at 19%. Ingram is yet to see his price rise and he is a guy you can rely on in all formats. Of the 5 games, this is one you're going to likely need exposure to. Ingram is a way to get exposure to the Lakers side without having to indulge on Ball or Lopez, who come with a higher opportunity cost. It's easy to push Paul George to the side with him being the 2nd option on this offense, but he's still been very good. He's also still adjusting and it's amazing to see over 30 FP in every game and over 40 FP in 5 of the 10. His price is lower than we'll ever see it and he'll need to get you around 40 in cash games. When comparing usage on the offense, Westbrook is at 30.1% and George is at 26.1%. While the 4% is huge, those are both very big numbers that you won't see in many offenses. The point is that the offense is still concentrated, though not to the same degree as 2016. Wilson Chandler isn't a good perimeter defender anymore and he can be taken advantage of inside as well. In a game that should remain close throughout, George makes for a solid play in all formats at $2k cheaper than LBJ. We've yet to touch on this game at all, but there's definitely more than a few guys that are in play for tournaments. We get to our first cash game option here in Anthony Davis. I know some people haven't been playing him in cash games and it's worked as well as every other small sample size-driven narrative. While he's eventually going to get hurt again, it has a lot more to do with his size and Alvin Gentry putting him out there for 40+ minutes on a nightly basis. He's actually been over 40 minutes in 5 straight games (Why Alvin Gentry? ), which is amazing for DFS purposes. In those 5 games, he's been over 55 fantasy points in each. He now gets a match-up against a Raptors squad that doesn't scare anyone. While Serge Ibaka was once known as a shutdown defender, those days are gone. He was below average in 2016 and the Raptors are now ranked 2nd worst against PF's in basketball with 53 FPPG allowed. You'll have to give a few arms and legs, but it could easily be worth it with just 5 games to choose from and the pricey options at PF limited. Davis has been the best DFS player this season and it's tough to expect less than 55. These two face off and should cover each other for most of the night. Imagine being told 3 weeks ago that Otto Porter would have his best year yet and Kyle Kuzma would be just $500 cheaper before Thanksgiving. Both of these guys have been very impressive early and this isn't the match-up to slow anyone down. Especially "bigs" who can run. Neither of these guys are very big in a basketball sense, so look at it like 2 more bigger SF's out there. It's the reason both these teams are able to run without worrying about 2 guys being left behind. I don't think there's too much of a difference, to be honest, so it'll depend on your roster construction. If you already have Beal and Wall, go Kuzma. If you're on Wall and Ingram, go Porter. If you're playing in a tournament, play 'em all. As a side note, do not worry at all about Kuzma struggling last night. They switched on him and played identical defense as they did to Kristaps, when he was shut down a week ago. That will be nowhere tonight. All in all, these are 2 safe options for 25-30 fantasy points with the upside for 50. Expect Kuzma to be lesser owned, but only slightly because of the price difference. There are plenty of options with upside at center, but most of them aren't in great spots for cash games. We'll get down to the 5k's quickly with Marcin Gortat, who's always in play in this type of game. He's been over 20 fantasy points in all but 1 game this season and has typically sat around 34 minutes. Against the 4 fast-paced team the Wizards have played, Gortat has been over 30 fantasy points and 30 minutes against every single one. Expect him to get back there tonight with an ideal match-up against Brook Lopez, who doesn't play defense. The pick and roll will once again cause problems for the Lakers and Gortat will benefit at a very cheap price tag. He's an elite play in all formats that will be on most of my rosters. We touched on LeBron earlier and this combo is one that could do a lot of damage. The Rockets want to play Clint Capela at the 5, which will make Love a huge mismatch. Capela has no hope of staying with Love on the perimeter and they are pretty equal down low. Love has been a consistent option all year long and his price is yet to rise too high. He showed off with a 62 FP performance last game, which is high ceiling. I'm not expecting that again, but a 35 point floor is close to a guarantee. He's had a double-double in all but 3 games so far and this match-up is as good as any yet. The Rockets play a lot faster than the Cavs and both Love and LeBron make for elite plays across the board. Maybe you should stay away from predicting how many minutes someone is going to get. Saw on the message board 2 days ago that you said Acy would have 30 at a min and he got 18. Someone even called you out before the game. Just saying. Dude you don’t have to read this article.. it is a prediction what they think should happen.. you don’t have to read this article but you choose to.. you don’t have to complain but you choose to.. you should choose to do your own research though since these guys obviously aren’t good enough for you.. next time don’t click the link if you know everything.. Thank you Jordan….Bob is a lazy loser troll….and acy had 21 mins,,,,he cant even get his info right…. No one should be making their picks based on what you read on here and then blaming DFSR when their picks flop. Instead, this page should be used as a resource to help make your picks, which is exactly what i use it for. In the end, you are responsible for your own picks, not DFSR. Thanks for the insight every day. I like what you guys do here and wil continue to tune in to hear your thoughts on each slate. Ummmm…..OK…….Well i should not make my picks based on the info I read on this page but i should use the info to help me make my picks?? A little day drinking is ok i guess. I ALWAYS enjoy the comments section. Thanks DFSR. ACY had 18 minutes!!! Go look it up in the box score on ESPN Spud. Are you too stupid to even read a box score? Everyone else feel free to look it up. I want you to see how smart the DSFR clones are. Quit posting fake news. You will get caught because you are not as clever as CNN. As for Jordan, yes I do come here to see the bad advice and point it out. Others should be make aware of bad advice. I appreciate when others have pointed it out to me. If you don’t like my comments then don’t read them. Your same advice applies to you. How does that sound? Ur pretty dumb dude. These are not set in stone predictions, so dumb. Amything can happen in a game to make things change and these are writem before the final decisions are made with injuries and lineups. Which if u knew anything aren’t final until minutes before the game. Second he is right 90% of the time. 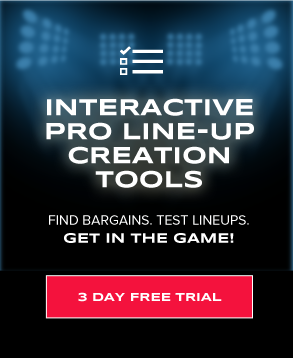 Which is pretty good for free and he does all the sports not just nba, every day. That’s alot. Ur a troll that dosent know anything about anything. This is the most official site u can find. He is not right 90% of the time. That is a complete joke and you are clearly biased to him for some reason. It was pointed out before the game that ACY would not get close to the 30 mins minimum he was forecasting. Everyone is simply pointing out where his advice makes no sense and as someone unbiased you should appreciate the advice especially because it was right but it looks like you are the one that is the clueless little troll that you are claiming every one else to be. I agree – no one is right 90% – especially here – that is a clown argument. Go back to sniffing Austyn’s shorts Rushmore – everyone knows that’s all you are doing. Great comment by Big AL earlier – these guys just make no sense. Thanks for last night, followed most of your suggestions and then put 2 of my own in and came away with 2 contests in the 320+ for $100 each. If the GS game hadn’t been a blowout I would’ve had Top 5 finishes in both!! Keep up the good work!! So the excuse you’re going to use for ACY is that he “dudded out”. Wow first time I heard that one. You couldn’t blame it on foul trouble because he only had 1 so you came up with that. Everyone knows ACY is a stiff that is why they pointed out before the game that he would never see 30 mins. He had no chance to play 30 and everyone knows that because he is a terrible player. It should be no surprise that someone like that would “dud” out as you call it. For your expert to say he would get a 30 min minimum (or likely 40) just made no sense. Even Brooklyn won’t give him that time. The poster the other day was pointing out bad advice that was called out before the game. That is not a troll. It’s simply someone questioning why it would be presented that way. Again some with a brain would appreciate the feedback but we understand you have a different agenda and no one should question mighty DFSR.